Creating DIY projects is one of my most favorite lovely activities. 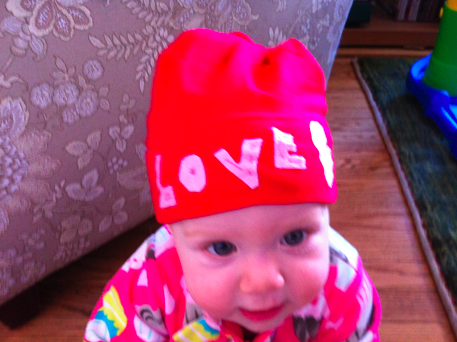 Most often my DIY projects involve short timelines, textiles, sewing and baby themes. 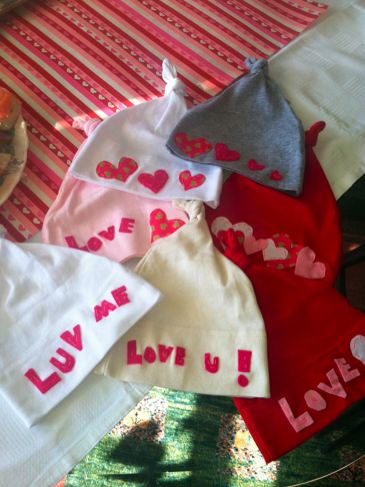 Last weekend, I created lovely Baby ur Mine beanies for a valentines brunch. The brunch was a nice way to connect with the moms, dads and babies. Listed below are the 6 easy steps to create this lovely on your own. Select a cotton beanie, American Apparel, stocks inexpensive colorful options and generally their products are high quality made in the USA. Select fabric to create your appliqué. 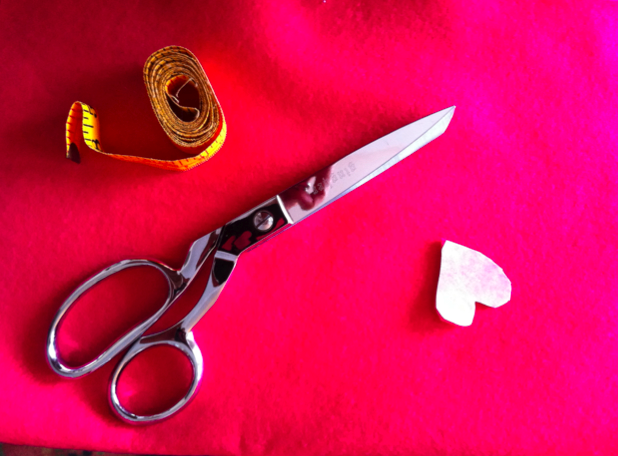 I decided on two fabric options for my design, pink and gold hearts and hot pink felt. I selected my fabrics from my favorite textile and sewing store in NYC Pins-n-Needles. Design your appliqué. I decided to use letters and hearts. First, I penciled the design onto the heat-n-bond paper. Match the fabric to the heat and bond paper, sticky side of the paper matches to the back of the fabric. Generally it is best practice to cut your heat and bond paper in a large square and match the fabric, then design your appliqué. 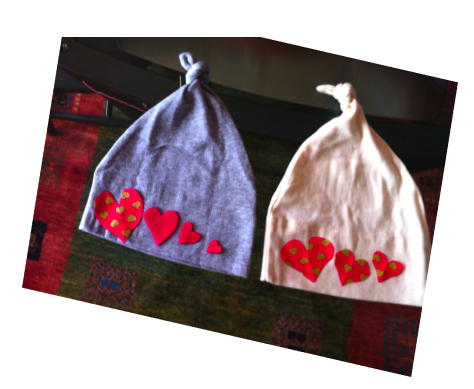 Cut out the appliqué and pin it to the beanie using strait pins. I decided to use a simple strait sewing stitch by hand to add additional lovely detail to the appliqué. 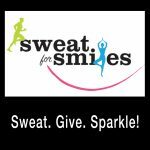 This entry was posted in Party DIY, Uncategorized. Bookmark the permalink.